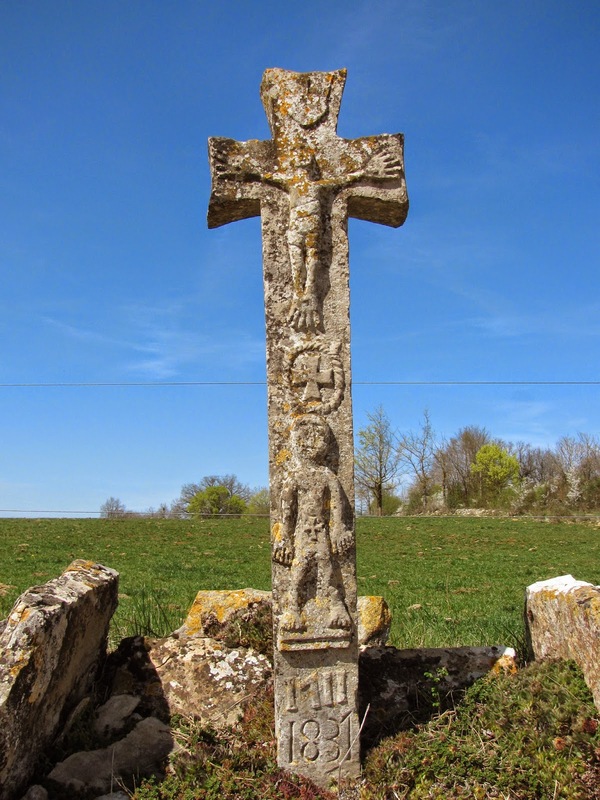 Ever since my first visit to France in 2005, I've been intrigued by wayside crosses and crucifixes. They dot the landscape of rural France as well as the rues and ruelles of its towns and villages. They are quite literally...everywhere. And from just a little research via Google, I've discovered that their meanings are as diverse as their locations. Many are, of course, religious statements. But they also mark the crossroads of major routes and tiny rural chemins. Some are waymarkers for pilgrimage paths.They can indicate boundaries of villages or country estates. Crosses were often erected by wells and springs, on high points and at other places of geological interest. Some were placed in an effort to ward off the plague or more recently, the phylloxera epidemic of the late 1800s. Some are just there...their reason-to-be lost over the centuries. I've thought many times about collecting images of these crosses and have always resisted even starting. There are so many that if I stopped for photos of even a few, I'd never arrive at my destination! I think the time has come, though, to start receiving their stories. After all, I'm retired. I'm really not in a hurry to get anywhere, am I? Yes there are countless crosses everywhere, but I had no idea their reason for being was for anything other than religious purposes. Thanks for an interesting post.